The Atlantic Puffin colony in Elliston, Newfoundland is an amazing place to view these funny little birds. You hike out to the end of a small peninsula and the land just drops off into the ocean, but there is an island only a few meters from the edge and it is pretty much covered with puffins (at least at certain times of the day). 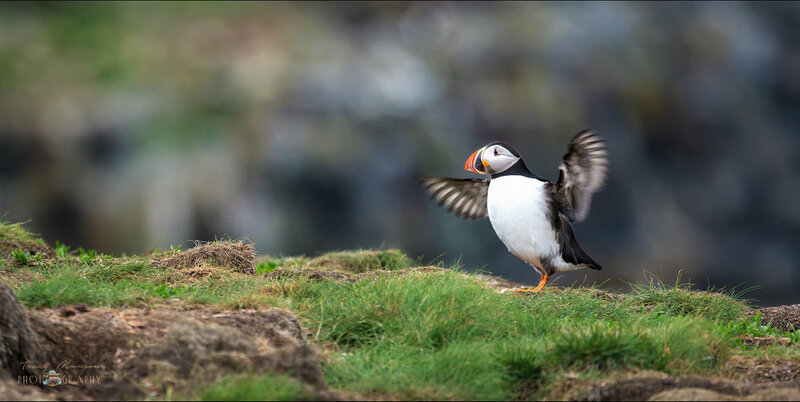 The puffins live in burrows underground, so it seems like they are more active at some times than others, but if you wait around, you will almost certainly be treated to the sight of hundreds of them in swirling flocks in the air and hanging out on land.